If you have a craving for chocolate look no further! 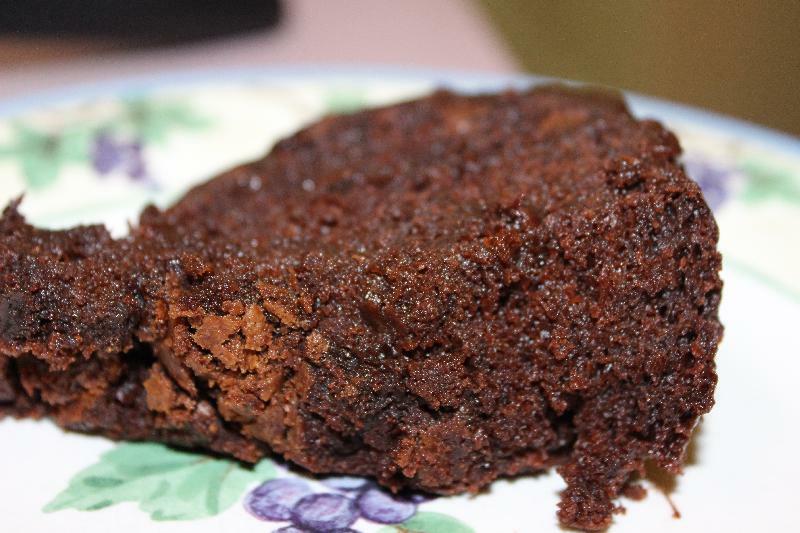 This cake will satisfy your craving! The cake itself is very moist. I want to make this again but with layers of chocolate frosting. The original recipe can be found here. Begin by having all of your ingredients at room temperature. 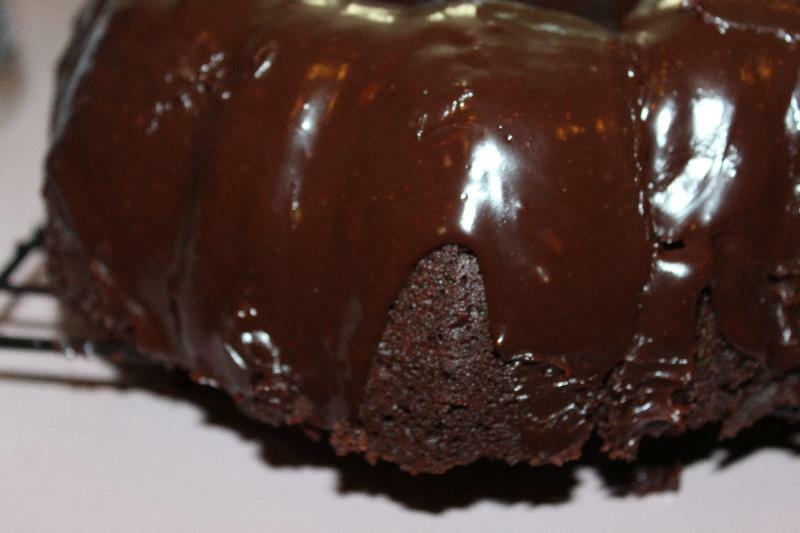 Grease the bundt cake pan and dust with cocoa powder. Turn the pan over in the sink to tap out any extra powder. 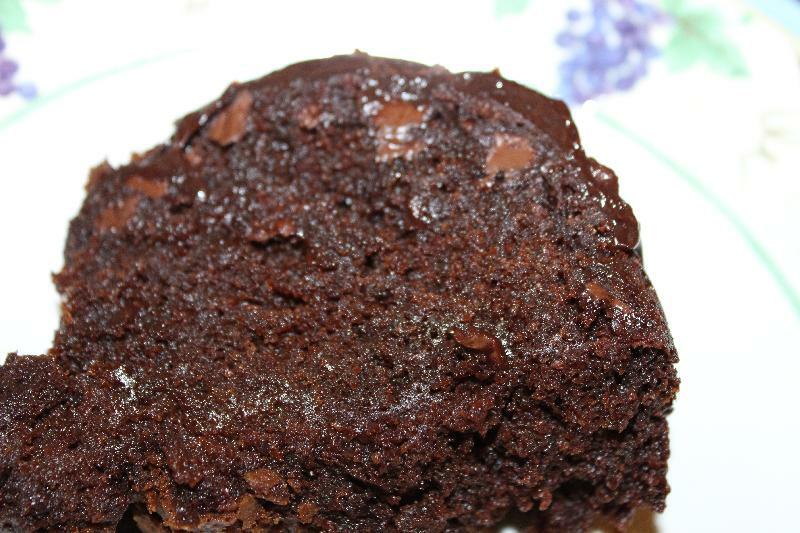 In a bowl combine the cup of cocoa powder and the chocolate. Next add the boiling water and whisk until the chocolate melts. The mixture should be smooth and blended. Set the mixture aside. On a sheet of parchment paper, sift together the flour, baking soda, and salt. Set this aside. Use an electric mixer with a flat beater to beat the butter on medium speed until smooth and creamy, about 30-45 seconds. Reduce the speed to low. Next add the brown sugar and beat until well blended. Increase the speed to medium and beat until the mixture is light and fluffy, about five minutes. Stop the mixer to occasionally scrape down the sides of the bowl. Then add the eggs one at a time, beating until it is incorporated before adding the next one. Stop the mixer to scrape down the sides of the bowl occasionally. Beat in the vanilla until it is incorporated into the mixture, about 1 minute. Reduce the mixer speed to low and add the flour mixture in 3 sections, alternating with the sour cream. Start and end with the flour. Beat until just blended and there are no lumps of flour. Slowly pour in the chocolate and cocoa mixture and beat until there are no white streaks. Occasionally stop the mixer to scrape down the sides. Use a spatula to gently fold in the chocolate chips. Then pour the batter into the prepared pan. Spread the batter so that the sides are about one inch higher than the center. Bake the cake until a toothpick inserted in the center comes out with only a few moist crumbs, about 60-65 minutes. Transfer the cake to a wire rack and let it cook upright in the pan for 15 minutes. Invert the pan onto the rack and lift off the pan. Let the cake cool completely, at least one hour. Return the cake to the pan and use a serrated knife to cut off any excess cake that is over the edge of the pan. (I did not need to do this) Place the wire rack on a sheet of parchment paper. Invert the pan onto the rack and lift off the pan. In a heatproof bowl, combine the chocolate and the butter. In a small pan bring the cream to just a boil over medium-high heat. Immediately pour the cream over the chocolate and butter. Whisk until the mixture is melted and smooth. Finally pour the ganache over the top of the cake. 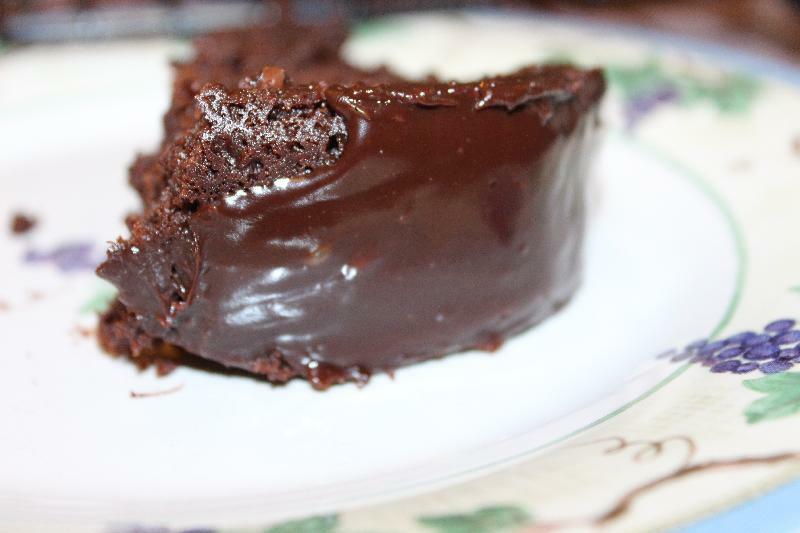 Allow the ganache to drip down the sides of the cake. The cake should stand until the ganache is set, at least 15 minutes.